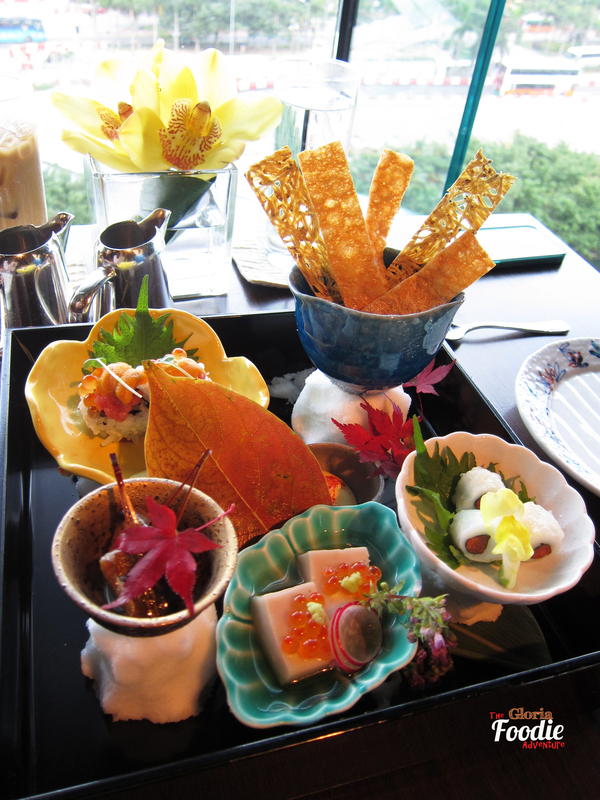 Friends have recently posted a lot information about the afternoon tea set at Inagiku at Four Seasons Hotel. Made me so eager to try the afternoon tea set. So lucky that my friend reserved a nice table for us at the end of November. 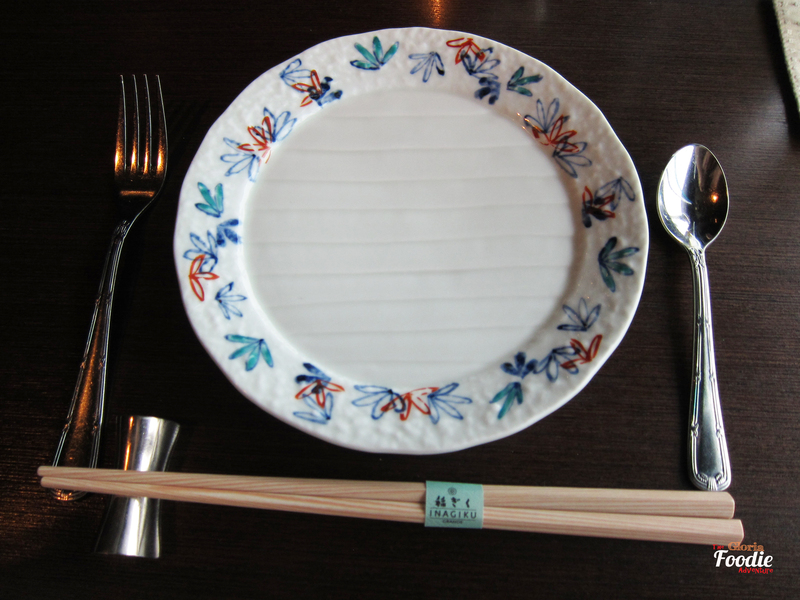 Inagiku is always a nice and elegant place to have great Japaneses food. Floor-to-ceiling glass, great view of Victoria Harbour, what a great place! The afternoon tea set menu is set so we only need to order the drink and the server got our food ready to be served. Couldn’t stop myself smiling at the dish while the server brought us such a beautiful platter of all the savory items. There are 5 types of savory/sushi items on the platter. 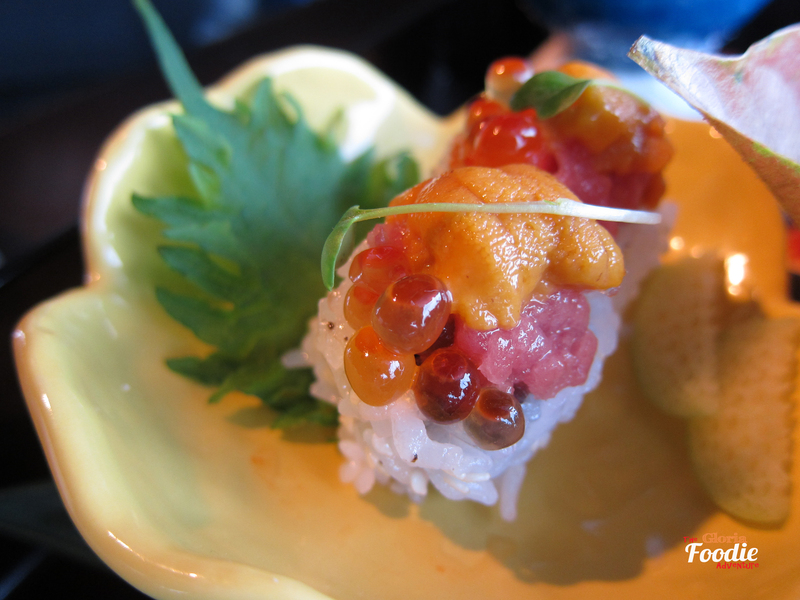 Sushi roll with salmon roe and uni was such a fresh and delicious one in bite size. 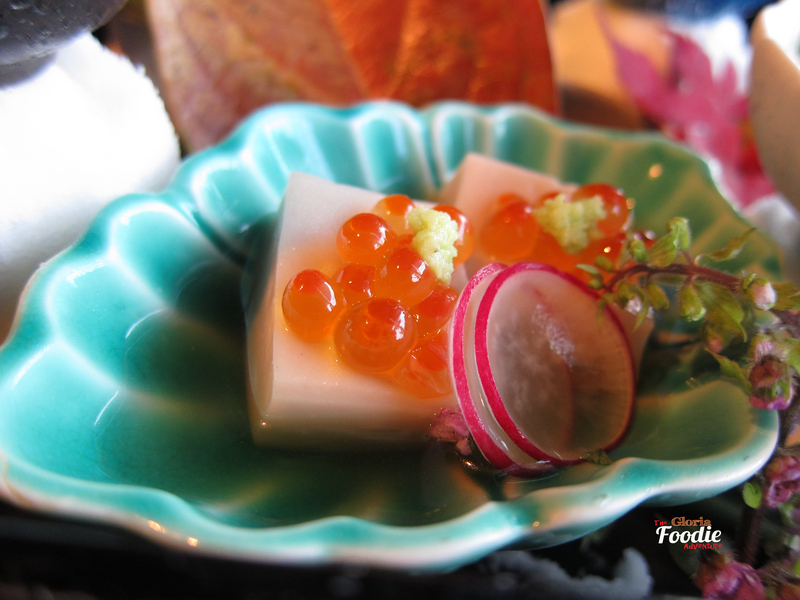 Sesame bean curd with salmon roe had a very delicate presentation. The sesame bean curd was so much richer than the normal bean curd. Pairing with salmon curd, it got the balance of the taste. 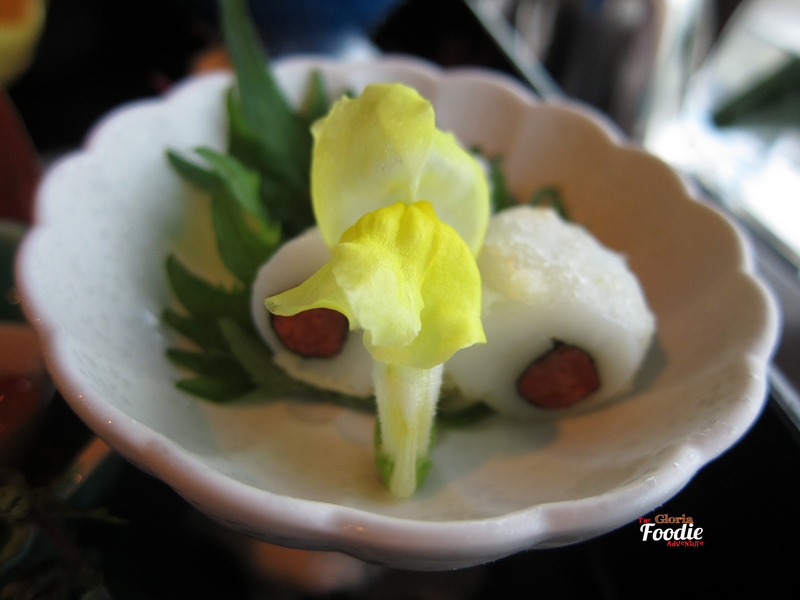 Squid Tempura rolled with spicy cod fish roe. It looked so decent with the yellow flower on it. Slightly chewy and spicy because of the cod fish roe. I was quite surprised with the combination, but it tasted very good. 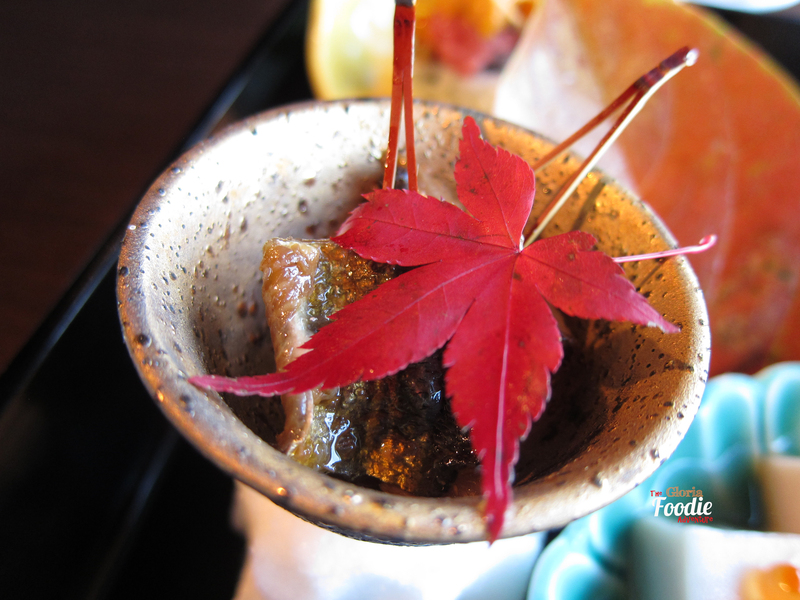 Simmered Pacific Saury with plum in Japanese style. 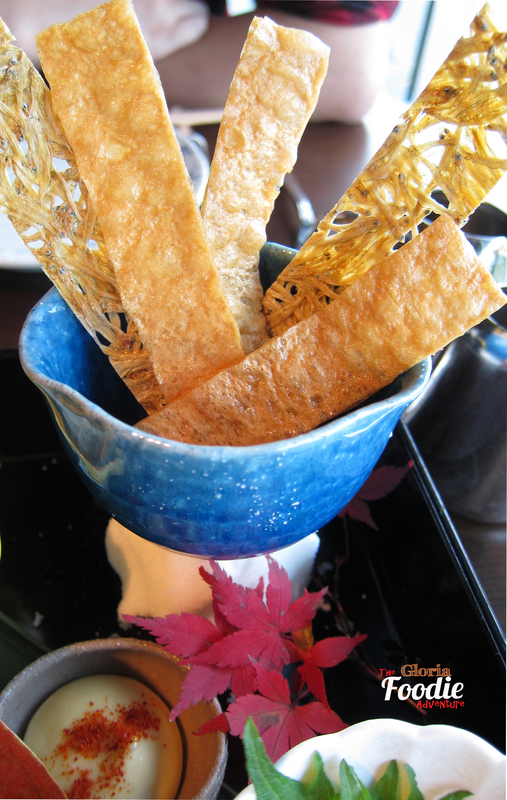 Covered with a maple, it added the characteristics of Autumn and classic style. The saury absorbed the taste of plum and was so tender. You would want another one after this, even my friend who doesn’t like fish also praised this. Grilled dried sardine and cod fish would be a very good partner with beer/wine, though we ordered coffee and tea. It was a pretty good snack for relaxing. Slightly salty but fresh. 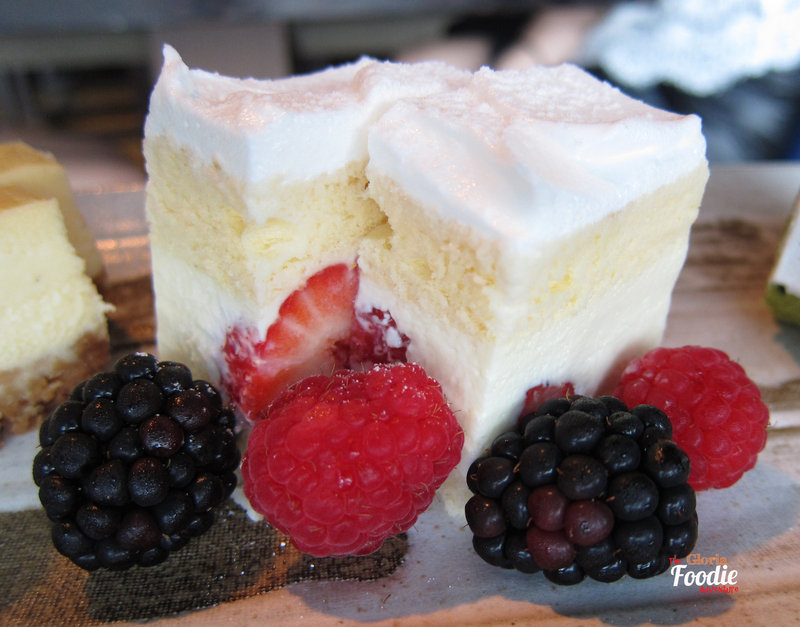 Have looked forward to the desserts since chef Rachel is well known of the signature roll. 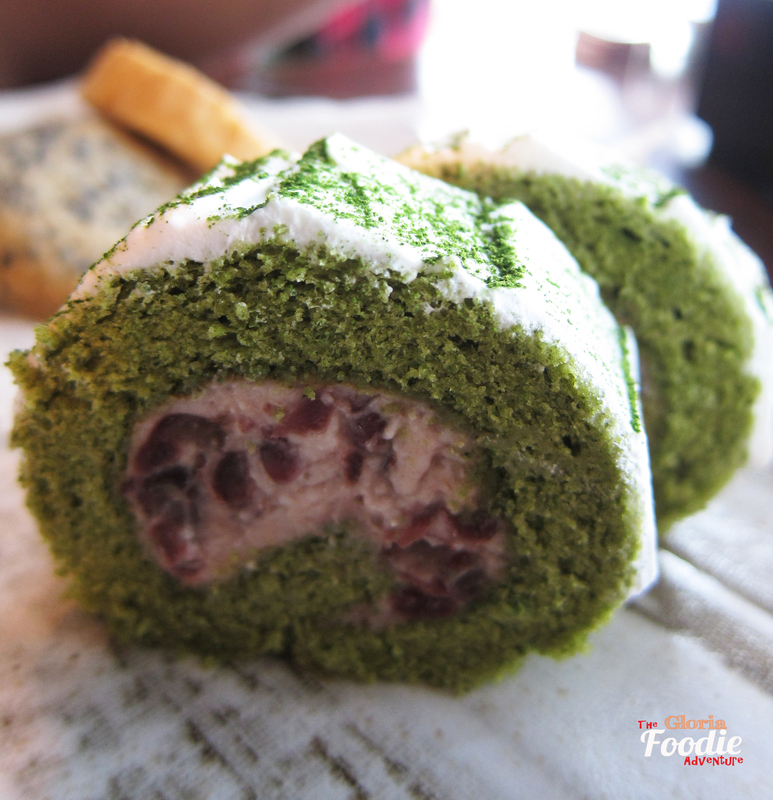 For sure, the green tea roll with red bean paste was very nice not only on the taste but also the presentation. The flavour of green tea is light but sustainable. The light sweetness of red bean paste was so balanced with the green tea. Strawberry sponge cake may be the favourite of most of the female diners. 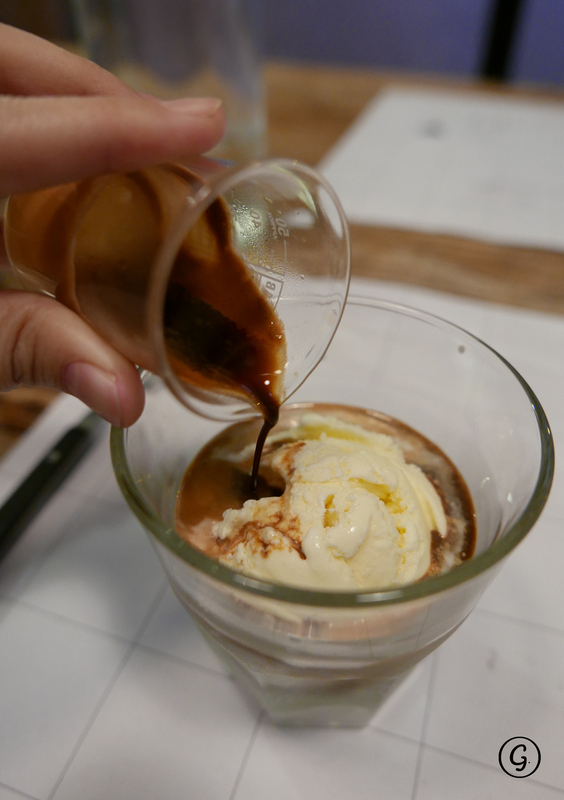 The soft texture with the smooth cream to pair with. Lightly sweet and the raspberry and blackberry just made it taste even fresher. 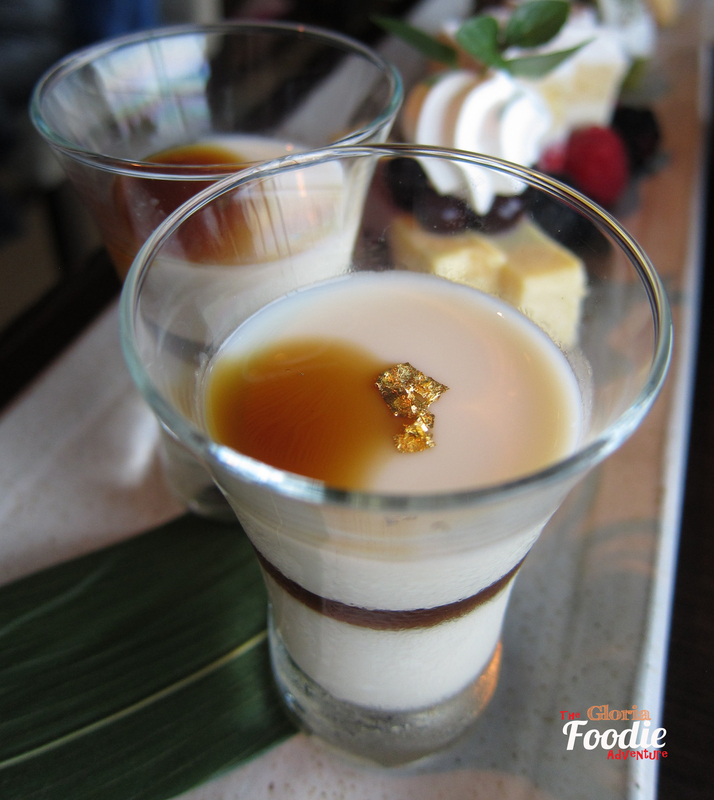 Tofu caramel pudding with a layer of caramel in the middle was smooth and with melt-in-your-mouth texture. You may not be able to stop eating it. Blueberry cheese cake was never been on my dessert list. The lightness of this cake somehow gave me a better impression about it. 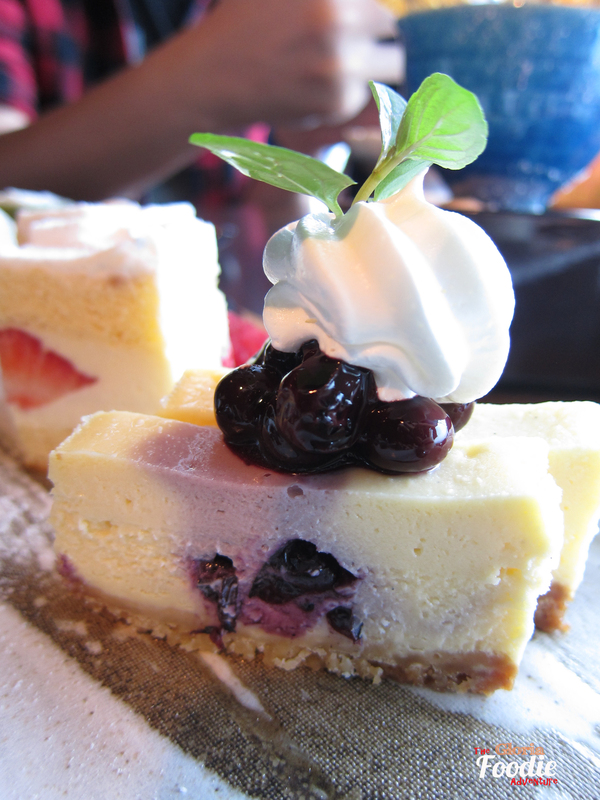 Eat the cream and blueberry together with the cake to make it perfect. Last but not least, the unforgettable butterfly cookie and homemade cookies. I adore the butterfly cookies from Royal Garden and it was nice to be able to enjoy it again. 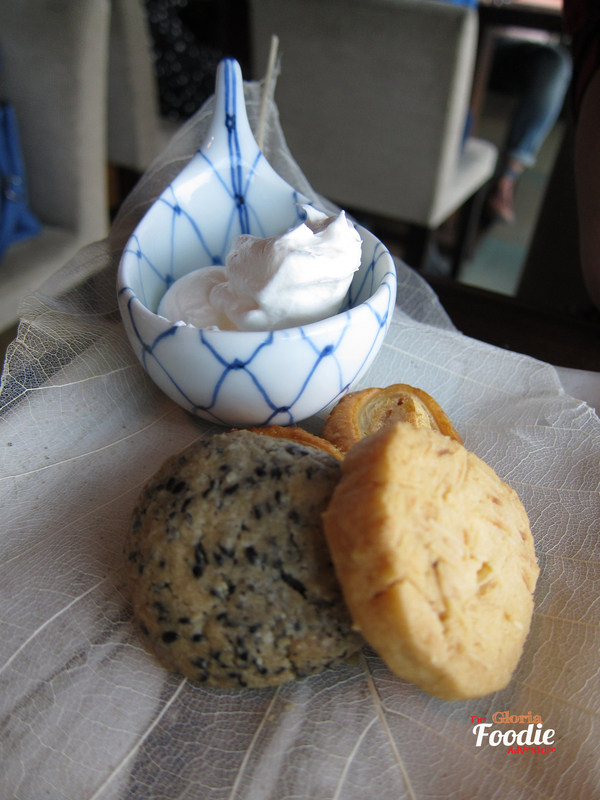 The almond homemade cookies was crispy with a light buttery flavor. 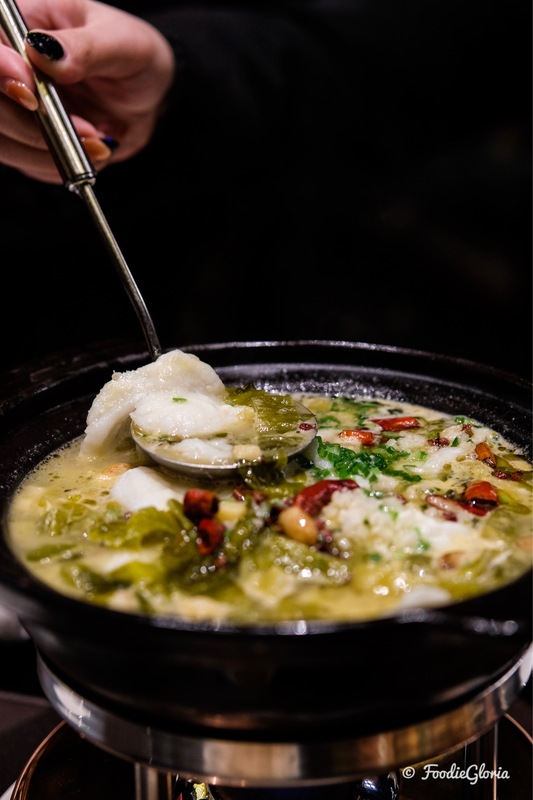 You may want another bite after this. High tea set only costs HK$498/two, with coffee/tea. If you would like to enjoy a glass of champagne, $798 for two will be charge. Will definitely return.